DieMeistersinger von Nürnberg is a music drama in three acts, written and composedby Richard Wagner. It is among the longest operas still commonly performedtoday, usually taking around four and a half hours. 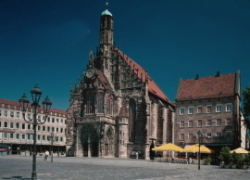 Thestory takes place in Nuremberg during the middle of the 16th century. 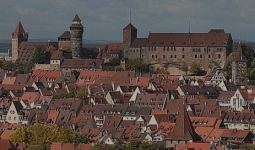 At thetime, Nuremberg was a free imperial city, and one of the centers of theRenaissance in Northern Europe. The story revolves around the real-life guildof Meistersinger (Master Singers), an association of amateur poets andmusicians, mostly from the middle class and often master craftsmen in theirmain professions. The mastersingers developed a craftsmanlike approach tomusic-making, with an intricate system of rules for composing and performingsongs. The work draws much of its charm from its faithful depiction of theNuremberg of the era and the traditions of the mastersinger guild. One of themain characters, the cobbler-poet Hans Sachs, is based on an actual historicalfigure: Hans Sachs (1494–1576), the most famous of the historicalmastersingers. 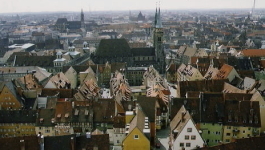 DieMeistersinger von Nürnberg occupies a unique place in Wagner's oeuvre. It isthe only comedy among his mature operas , and is also unusual in being set in ahistorically well-defined time and place rather than a mythical or legendarysetting. It is the only mature Wagner opera to be based on an entirely originalstory, devised by Wagner himself. It is also the only one of Wagner's matureoperas in which there are no supernatural or magical powers or events. Itincorporates many of the operatic conventions that Wagner had railed against inhis essays on the theory of opera: rhymed verse, arias, choruses, a quintet,and even a ballet. 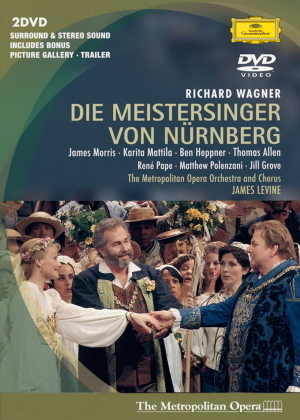 Die Meistersinger is, like L'Orfeo, Capriccio, and Wagner'sown earlier Tannhäuser, a musical composition in which the composition of musicis a pivotal part of the story. Verdimasterpiece of his later years "Falstaff" is a fantastic in such afining be invited to the heavenly world, is the human comedy like watching adream.Human magnitude of scale that laugh as a "world all joke" isgreat. 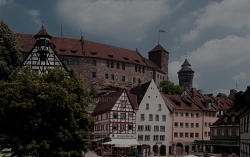 "Nuremberg Meistersinger" preached the "importance ofinheriting the traditional arts", there is indeed Germany specific and fullof theory, I can not laugh by watching "Nuremberg Meistersinger".